An all-new Ford Ranger debuts at the 2018 North American International Auto Show in Detroit. Following an eight-year hiatus, the Ford Ranger pickup truck makes its return. The new model was unveiled over the weekend at the Detroit auto show, coming in larger than before. It will join a segment led by the Toyota Tacoma and comprised also of the Chevrolet Colorado, Nissan Frontier and GMC Canyon. A Jeep model will follow in about a year. To mark this auspicious occasion, we’ll take a look at certain “fun facts” about the Ranger: past, present and future. The 1973 Ford F-100 is outfitted in Ranger trim. 1. Ranger Name. Ford sold the compact Ranger pickup truck for 29 model years from 1983 to 2011. 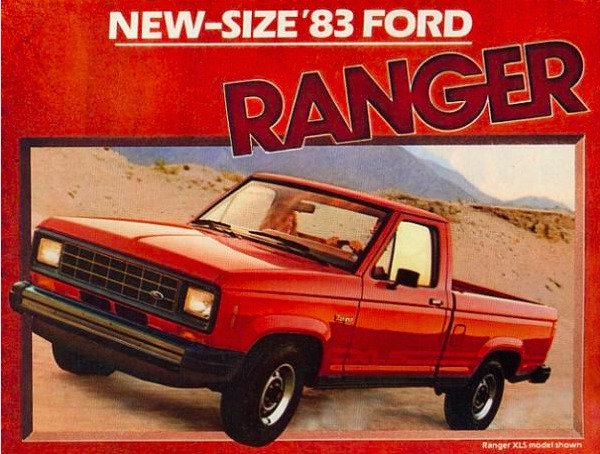 But it wasn’t the first time “Ranger” found its way on a Ford model. Indeed, from 1967 to 1981, Ranger was an upper trim level on the Ford F-100/150. In 1980, for example, Ford offered Ranger and Ranger XLT models (style side and flare side), in addition to a Ranger Lariat trim. 2. Courier Predecessor. 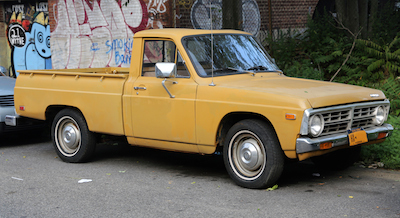 In the early 1970s, America’s car manufacturers were faced with the rise of low-cost Japanese imports, including pickup trucks. Caught without models to compete, each manufacturer began partnering with a Japanese rival to import a truck rebadged as their own. Beginning in 1972 and lasting until the Ranger’s debut, the tiny Mazda-supplied Courier gave Ford time to develop its own small pickup truck. 3. 1983 Ford Ranger. Ford released the Ranger early in the 1982 calendar year as a 1983 model year truck. The new truck offered six- and seven-foot beds, three engine choices — 2.0-liter four-cylinder (paired with a four-speed manual gearbox) and 2.8-liter V6 gas engines and a 2.2-liter four-cylinder diesel (paired with five-speed manual or four-speed automatic transmissions). This regular-cab only model offered rear-wheel drive (4×2) initially, followed by four-wheel drive (4×4) later in the model year. 4. Two Generations. Although offered for 29 years, the original Ford Ranger spanned just two generations. The first generation covered 10 years from 1983 to 1992, and included a refresh in 1989. The second generation spanned 19 years, 1993 to 2011, and delivered an update in 1998. Noteworthy changes incorporated a SuperCab (extended) cab model in 1986, an extended wheelbase in 1998, and various engine and transmission improvements throughout. 5. Competitive Set. All through the Ranger’s long history, the little Ford competed against numerous models, including the Nissan Pickup, Mitsubishi Mighty Max, Chevrolet S10 and GMC S15, Isuzu Pickup, Toyota Truck and Dodge Dakota early on. Gradually, the herd thinned as most smaller competitors left the market and manufacturers began building larger models, such as the Toyota Tacoma, Chevrolet Colorado, GMC Canyon and Nissan Frontier. In an interesting turnabout, Mazda, which originally supplied Ford with a pickup truck, sold its own Ranger-derived B-Series from 1993 through 2009. One of the last Ford Rangers built before this model was canceled. Ford’s exit from the small pickup truck market disappointed many, especially Ranger enthusiasts. Likewise, GM also took a break from the market after 2012, but with one important distinction: the automaker promised new Chevrolet and GMC models by 2015. Ford left the segment as demand for small pickup trucks continued to decline. Even the remaining Toyota and Nissan models were languishing, last updated in 2005 or earlier. But Ford didn’t abandon the Ranger entirely. Instead, they simply left the US market. An all-new Ranger designed and engineered in Australia rolled out in 2012, but it was for international markets only. The reason? Ford considered it too large for the US market, coming in at 90 percent of the F-150’s size. At the January 2018 Detroit auto show, Ford unveiled an all-new Ranger for the North American market. The turnabout was not unexpected, but it did reveal that automakers will sometimes reverse course, especially when given compelling reasons to do so. 1. Revived Segment. After years of decline, the medium-sized pickup truck market began to rebound in 2015. Credit GM for all-new Chevrolet Colorado and GMC Canyon models introduced in 2015 with reviving the market. Not only did customers gravitate to the new trucks (without harming full-size truck sales), but it reinvigorated sales for competing Toyota and Nissan models. In 2015, the first full year of the GM medium-sized pickup trucks, sales topped 114,000 units. Last year, the duo registered 145,000 sales. Ford’s decision to jump back in likely had much to do with how the market improved in 2015. 2. 2019 Ford Ranger. Ford says the new model is not the same vehicle as the global Ranger, rather the automaker designed and engineered it for the North American market. It is also the first crew cab (SuperCrew) Ranger (international markets have had one since 1998), a SuperCab is the other body style. Available in XL, XLT and Lariat trims, Ford plans to offer just one powertrain choice at first: a 2.3-liter four-cylinder paired with a 10-speed automatic transmission. Competing models supply two or more engines, including both inline fours and V6s. GM also supplies a turbodiesel. Standard and available 2019` Ranger equipment will include a Wi-Fi hotspot, driver-assist technologies and an off-road FX4 package. 3. Ford Bronco. Following the 2019 Ranger is a second Ford model, the 2020 Bronco. We know very little about this traditional body-on-frame SUV, a vehicle that will compete against the Toyota 4Runner and Jeep Wrangler. With Nissan considering bringing back the Xterra, the traditional SUV market may be in for a similar revival. Off-road fun, anyone? One of challenges in bringing the Ford Ranger back to the US market is to avoid having customers leave the profitable F-150 for the new model. At the same time, Ford has the opportunity to capture existing Ranger owners who might want to purchase new, but aren’t interested in the F-Series. Ford will, of course, seek conquest customers as part of its Ranger marketing initiative. 1972 Ford Courier, copyright Mr. Choppers via Wikipedia. Creative Commons 3.0 license. 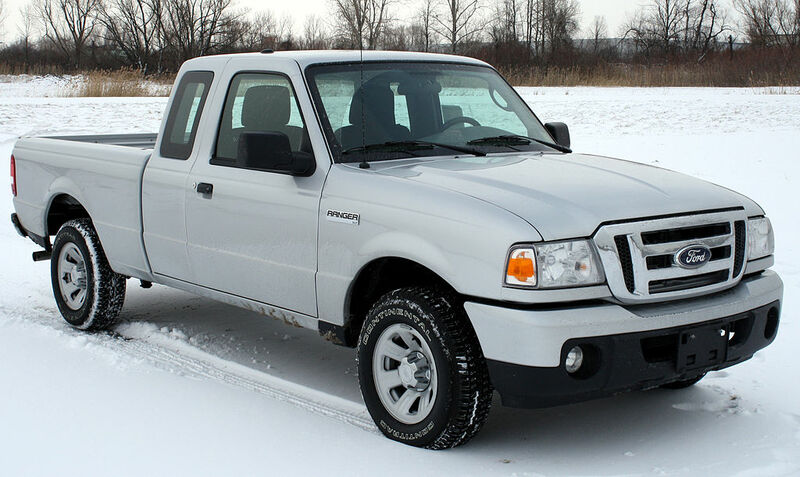 2011 Ford Ranger (white), National Highway Traffic Safety Administration — public domain. 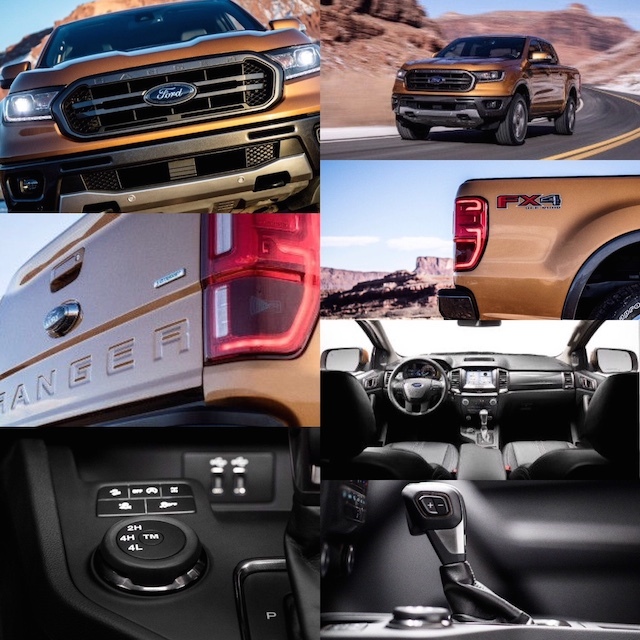 2019 Ford Ranger photos and video, 1983 Ranger ad and 1973 Ford F-100 copyright Ford Motor Company.